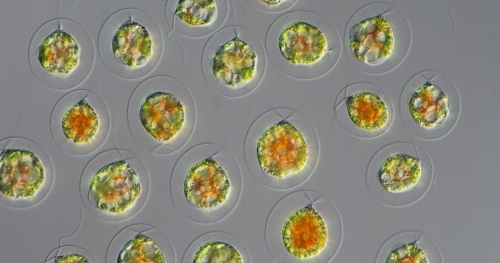 Haematococcus: is a genus of algae in the family Haematococcaceae. Representatives of this group are the common cause for the pink color found in birdbaths. There are currently no items matching "Haematococcus".